Harry Allen speaks at Bowne Hall. 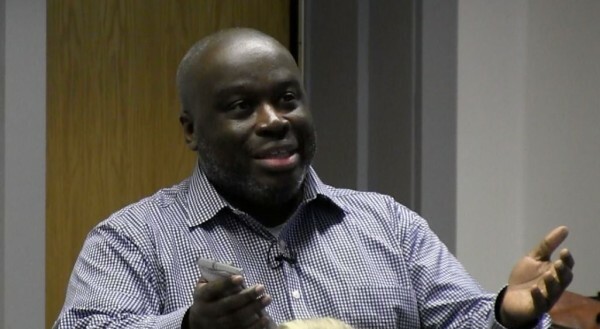 Journalist and hip-hop activist Harry Allen recently spoke with students in both African American studies and music history and cultures classes. In this video, you can hear Allen discuss the influential nature of hip-hop music and his experience with one of the pioneering groups, Public Enemy. Harry Allen speaks at Syracuse University from Syracuse University News on Vimeo.